Alexander you are now nearly 16 weeks old, that’s four months! I can’t believe how quickly those months have passed. You are getting better at sleeping for longer stretches at night and as much as I hate to admit it moving you into your own room seems to have been a good idea. I think we’re a way off a full nights sleep, which your brother was doing by now but to be honest I really don’t mind. We’ll get there. You have the sunniest nature and really are an easy baby. Lots of people like to comment on how happy, smiley and quiet you are. I love being your mummy! 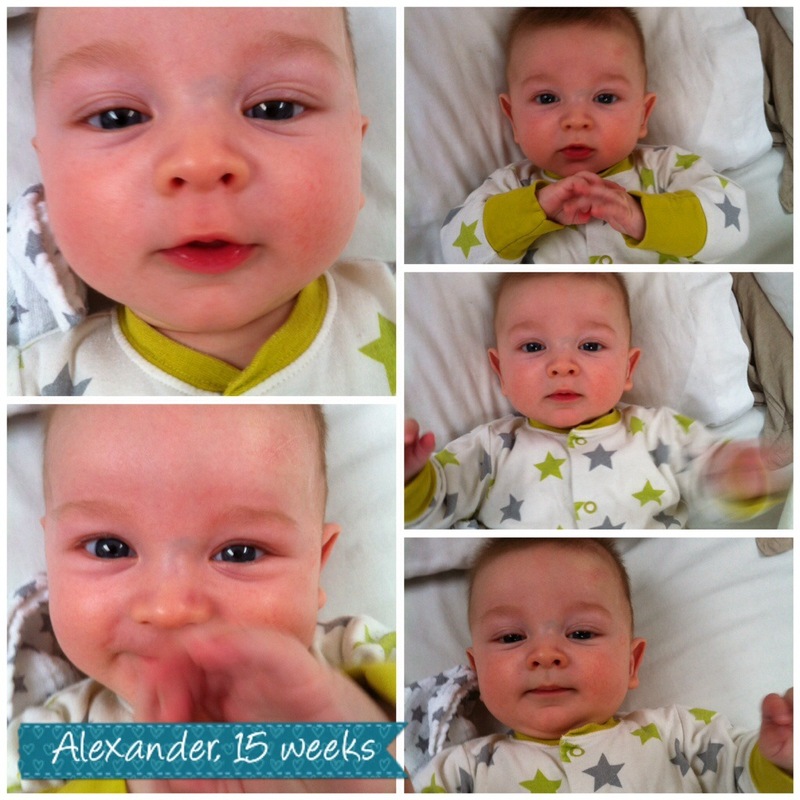 This entry was posted in Alexander and tagged alexander, four months. Bookmark the permalink.